Easter holds many great childhood memories for me. Family time filled with plenty of milk chocolate bunnies, easter egg hunts, and the dreaded 5 a.m. Easter Sunday morning church service. It wouldn’t be Easter without Coloring Easter Eggs. Mum always made Naturally Dyed Easter Eggs with onion skins making a deep golden rusty egg colour. I was envious of the kids at school that had colorful store bought dye colored eggs. As a kid, I didn’t appreciate our family traditions using the onion peels to dye eggs at Easter. It’s amazing how time gives you perspective, plus the added benefit of healthier, chemical free, dyed eggs. It’s definitely not great to eat your dyed Easter eggs when they are full of chemicals. 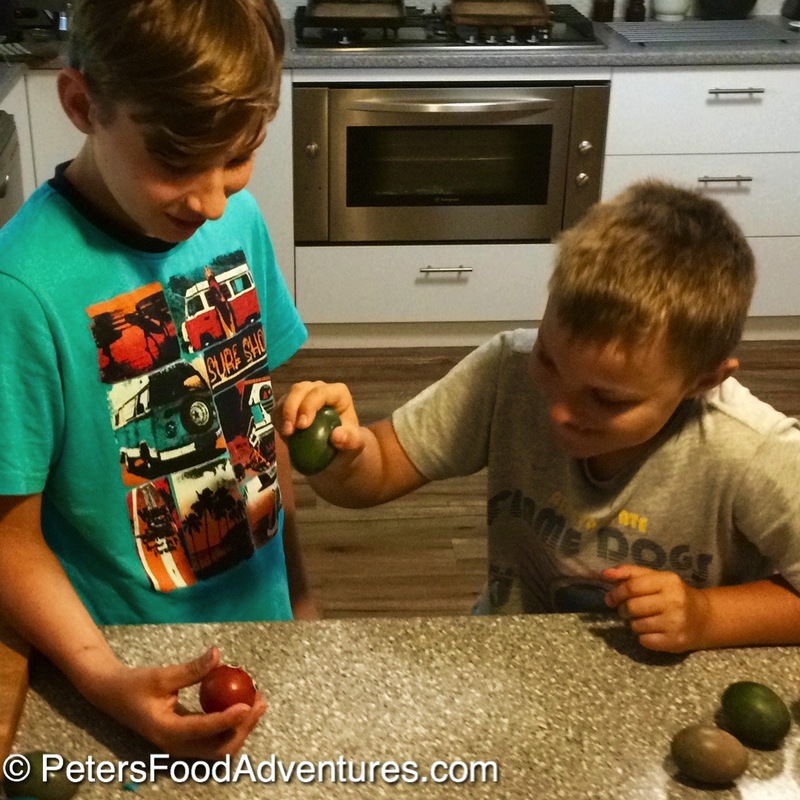 This Coloring Easter Eggs recipe allows you to still enjoy Easter traditions with colorful eggs, whilst providing a healthier way to eat the Easter eggs, chemical free. Russian style dyed deep brown-red (onion brown) Easter eggs represent the blood of Christ, and the hard shell represents the tomb. Our tradition is to tap the top of the cooked Easter eggs with each other until one breaks. The cracked eggs symbolize Christ’s resurrection from the dead. We all take turns in the family. One person holds the egg and the other taps the top of their egg, hoping not to break their own, but their opponents. The winner is the person who successfully cracks their opponents egg. Then we peel the eggs and eat them with salt. We still practise this tradition with my kids. Growing up, I now appreciate the natural healthier way of dying eggs, and avoid unnecessary dyes in my food. I have never bought red cordial for my kids (you’ll thank me later when you grow up). Happily, I have discovered new ways of making Naturally Dyed Easter Eggs, and in colours that aren’t red-brown! 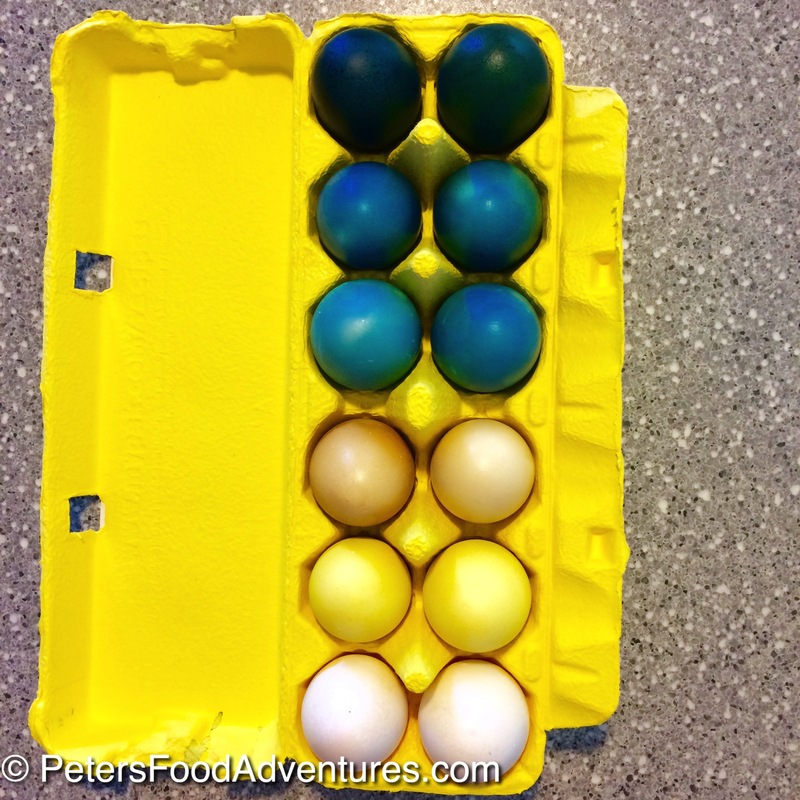 My best success has used red cabbage to create blue eggs. I know that sounds strange and unbelievable, but its worth the effort! Turmeric was the other surprise colour that worked well and really added to the Easter feeling. I have had very limited success with coffee, red wine, paprika or beetroot juice, as their colours are too insignificant. The stronger the dye concentrate is, the deeper the colour your eggs will be. When you’re happy with the colour of your eggs and they are dry, rubbing a bit of oil will add a shine, in contrast to the matte eggs. Don’t be stingy with the ingredients, if you are unsure, add more ingredients to the dye which will concentrate the colour. Coloring Easter Eggs with natural dyes take longer to set than store-bought dyes, allow enough time to leave in the fridge overnight for the really deep colours. Remember to always keep your eggs refrigerated until you’re ready to eat them, which is the point of this recipe, food! And most importantly, you won’t be eating eggs that have harsh dyes in them. Bon Appetit! Приятного аппетита! Prepare dyes according to instructions. Place the dyes into wide mouth glass jars. Carefully lower the eggs into the jars using a tablespoon. Keep your eggs refrigerated. Soak the eggs overnight in the fridge and carefully remove from the jars the next morning. 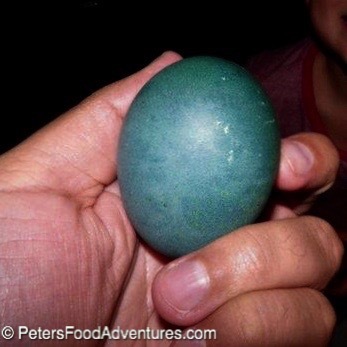 For lighter blue eggs, remove some after 6-8 hours to check if you are happy with the colour. Place the eggs on a cooling rack until completely dry. I prefer a naturally matte finish on the eggs, however if you want them to shine, add a few drops of oil and wipe carefully. If you keep the eggs in the fridge, I suggest they are edible when eaten within a week. I usually use the eggs for Olivye Salad (Оливье - Russian Potato Salad). 1. 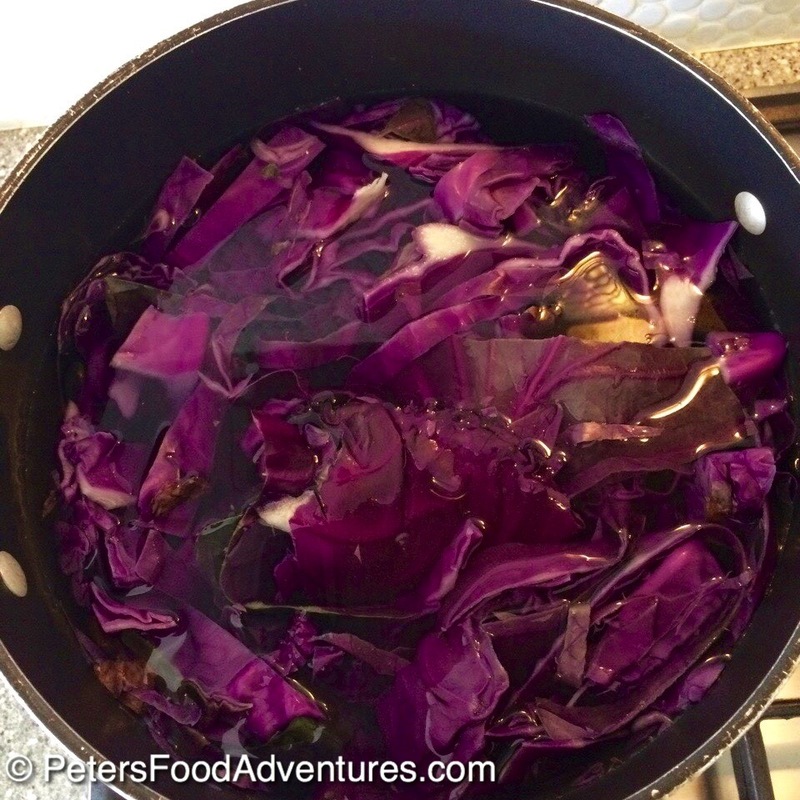 Coarsely cut 5 cups red cabbage leaves and put into pot. Add 5 cups of water and bring to a boil. Let simmer on low for approx. 25-30 minutes. You will see the colour turn a purple colour. 2. Strain the cabbage from the water. 3. Add 1 tablespoon of vinegar per cup of dye and stir throughout. Allow the dye to cool before you use it. 1. Put 8 tablespoons of turmeric into 4 cups of water into a saucepan. Bring to a boil and let simmer for 25-30 minutes. The colour will turn a bright yellow. 2. Strain the turmeric from the water, using a cheesecloth. 1. 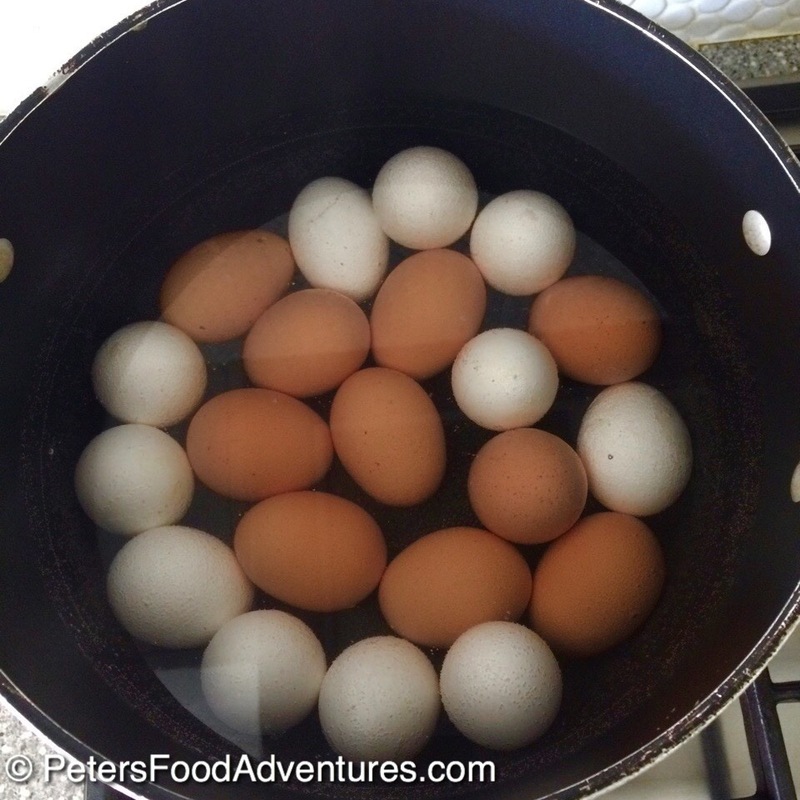 Place eggs into a large saucepan and cover them by about 2 inches of water. 2. Bring water to a boil over medium heat, and when it has come to a boil, cover with a lid and let sit for 12 minutes. 3. Remove eggs to a colander and run under cold water to stop the cooking. I love the natural dyes! I always wondered about how to do that! They look beautiful! We used to make them when we were kids. Somehow, I also remember making designs and using more than one color. My mother is very creative and it was an art and science project. Not true! Perhaps it requires high attention to details and a light touch? I recall breaking many eggs when used raw and not wanting to eat the egg after it was died and hard boiled. How did I miss making this last year? Can’t wait to make the blue eggs next week along with the onion ones. The colors look amazing!! Thanks! It’s a bit of fun at this time of year, isn’t it! ??? ?